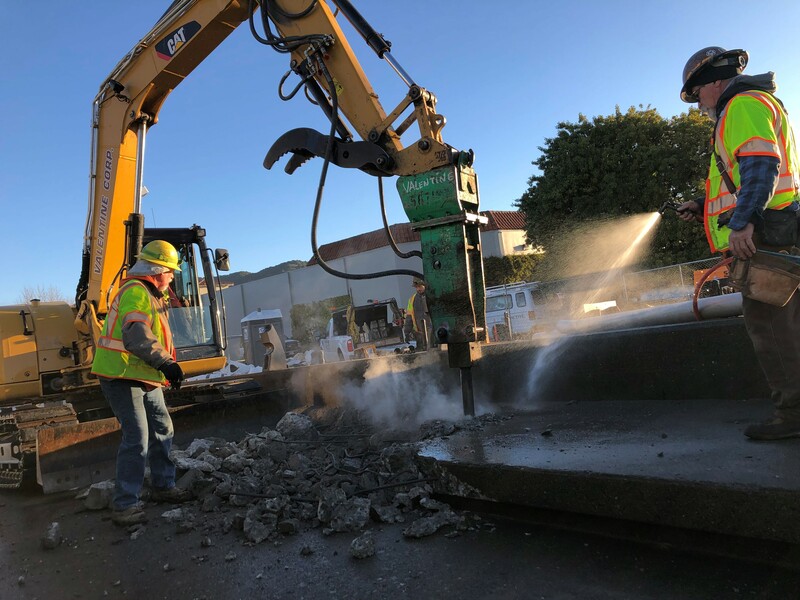 The City’s contractor, Valentine Corp, has completed work on the west side of the Grand Ave vehicle bridge by installing a new sidewalk and barrier railing. 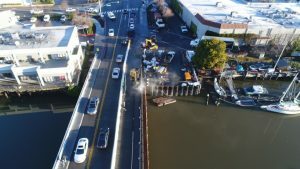 Vehicle traffic has been shifted, again, such that the contractor is in the process of removing the existing sidewalk on the east side of the vehicle bridge. A new barrier railing will be installed by the end of February. The pedestrian bridge is scheduled to be delivered to the job site on March 7th. The current plan is to store the bridge in the Toyota parking lot while additional welding is performed on site. We anticipate the bridge being installed in late March.